Restore thick, healthy hair by stimulating the hair follicles for new and lasting growth. 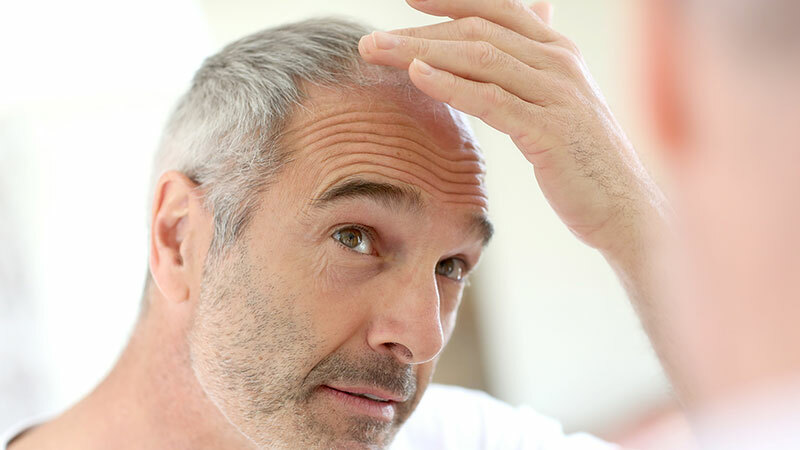 Platelet Rich Plasma (PRP) Hair Restoration is a safe, natural, and effective solution for hair loss in men and women. About the appointment: during the appointment, Dr. Storm will apply a numbing solution to your scalp for increased comfort during the treatment. She will then draw your blood and spin it in a special centrifuge to isolate the stem cells and platelets. This personalized solution will be injected into the scalp in areas of thinning to stimulate hair growth and restore thickness. I did 6 sessions of PRP treatments with Dr. Storm for my hair regeneration. I had hair extensions for years and the extensions really took a toll on my hair. I was getting resigned to a thinning head of hair and short hair for life. Thanks to Dr. Storm, my hair made a complete comeback! The growth has been incredible and the hair is healthy again. Now I go in once or twice annually for a "boost", but I am in awe of the transformation. My hairdresser can't believe it and has referred many clients to Dr. Storm. I am gifting my husband some sessions for xmas for his bald spot. We can't wait to see how he likes his results! Thank you Dr. Storm.